Wishing you a happy and profitable year ahead. Asian equity markets started the new year on a negative note, unable to build on Wall Street’s gains on the last trading day of 2018. A holiday in Japan added to the cautious tone as shares smartly reversed a slightly positive open. China shares slid 1.2% as PMI data confirmed a worsening economic slowdown, while the US30 CFD fell 0.44% and the Nas100 index declined 0.41%. On the currency front, trading was just as nervy, with beta-risk currencies like the Australian dollar falling heavily against the US dollar while USD/JPY fell 0.13%. AUD/USD fell 0.64% to 0.7005 while USD/JPY slid to 109.43 as the yen was in safe haven demand. 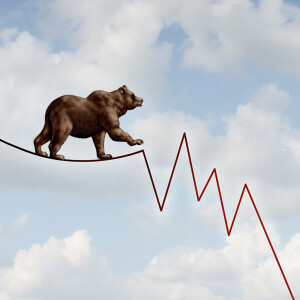 The marginally positive start to trading in 2019 was largely driven on hope, which soon evaporated. Hope for a defrosting of relations between the US and China on the trade front as US representatives head to Beijing for the next round of talks next week. Hopes that the US government shutdown will come to an end as President Trump invited leaders of both parties to a border security briefing on Wednesday (though who would attend and what would be discussed remains murky at best). Over the holiday period, data out of China showed a deepening in the economic slowdown as the official manufacturing PMI reading lurched into contraction territory in December, the first time since August 2016. The index slumped to 49.4, the lowest since March 2016, and missed economists’ forecasts of a slide to just 49.9 from 50.0 in November. 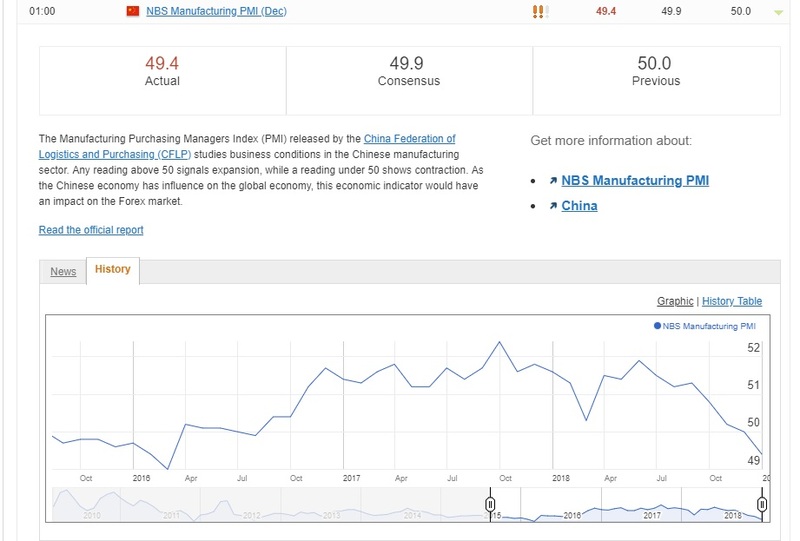 The Caixin manufacturing PMI reading was released this morning and painted a similar picture. The index slumped to 49.7, the first contraction since May 2017. On a more positive note, the non-manufacturing sector rebounded to 53.8 from 53.4 following two months of declines. Aside from the monthly US payroll report, which is seen rebounding to +178,000 from November’s +155,000, Fed Chairman Powell will have the opportunity to once again lay out the Fed’s direction for 2019 as he joins former Fed chairs Janet Yellen and Ben Bernanke for a joint discussion. While Fed members are still talking about two or more hikes this year, market pricing has all but priced out any additional hikes this year with Fed fund futures implying no change and a 25 bps cut in 2020. The US 10-year yield has slid back to levels below 2.70%, which were last seen in February.